The old market town of St Austell is just a few miles from the coast and is one of Cornwall's biggest towns. 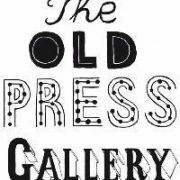 It was for centuries an important mining town but it was a discovery in the mid 18th century that really put the town on the map. 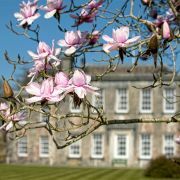 William Cookworthy, a chemist from Devon, discovered massive deposits of kaolin (a form of decomposed granite), or china clay in the area. The mineral is used in not only the production of porcelain but a whole host of industries including paper, pharmecuticals and textiles. 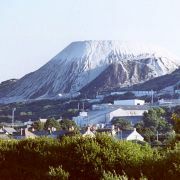 The extraction of china clay became the mainstay of local industry and accelerated the growth of the town from the eighteenth century onwards. 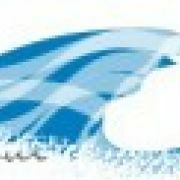 One estimate puts the value of the industry at the time at around £15 billion in today's money. 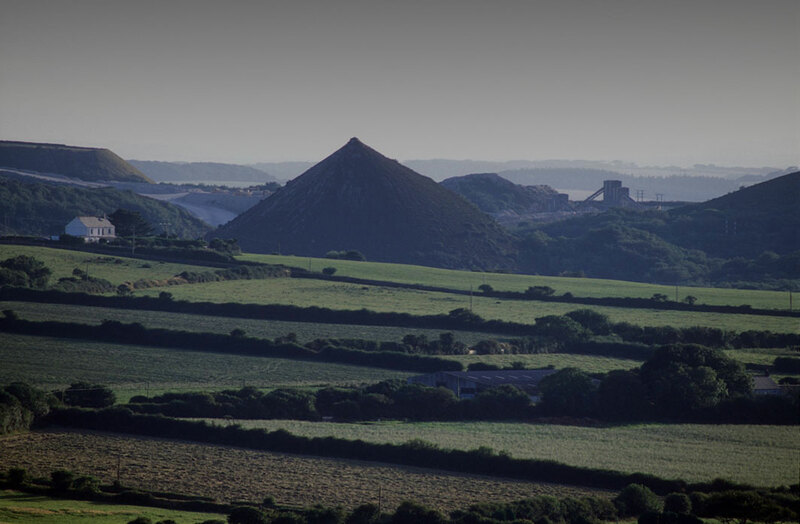 The china clay industry is now in decline with cheaper foreign sources now being used. 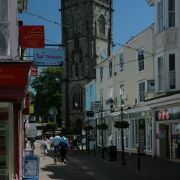 However the industry not only changed the town itself but has left its mark on the landscape around St Austell. 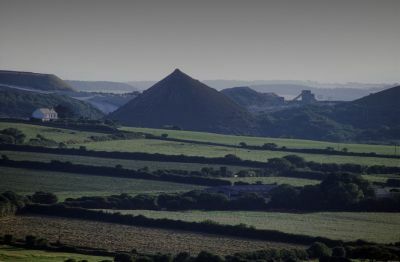 The Cornish Alps as they are sometimes referred to are the spoils from the clay pits which form large, originally white, conical mounds. 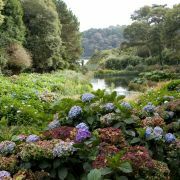 Over recent years some of these have been lanscaped and flattened to from a less surreal landscape. The nearby Wheal Martyn China Clay Museum is an interesting insight into china clay production with interactive displays based in a 19th century clay works. 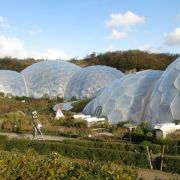 Perhaps the towns biggest draw these days is it's proximity to the mighty Eden Project, only 2 miles away. 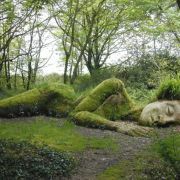 Eden is now, without doubt, the most popular single tourist attraction in Cornwall. 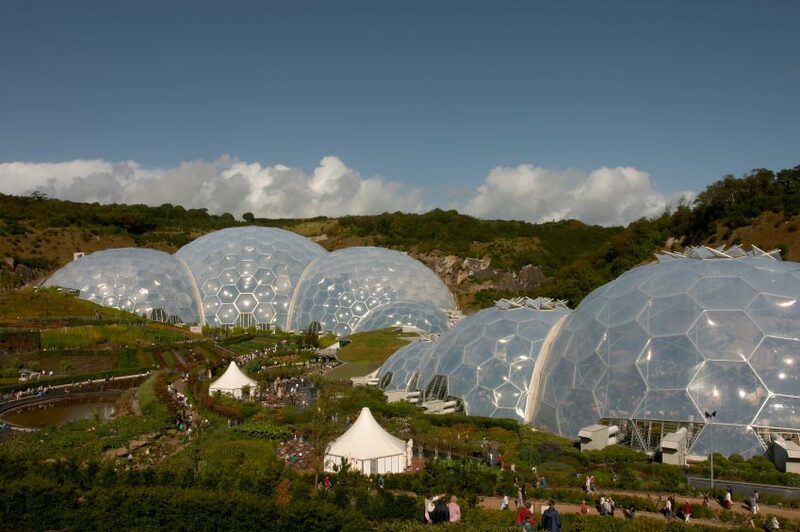 Interestingly enough the biomes were built in an old china clay pit. There has been much written about the environmental and righteous motives of the Eden Project, however there is plenty of evidence to the contrary along with the fact that it has certainly increased traffic in the area! 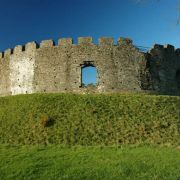 Although the town itself has little to offer the visitor (in fact some might even describe it as being pretty grim!) 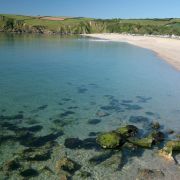 it does provide an ideal centre for some of the loveliest beaches in Cornwall. 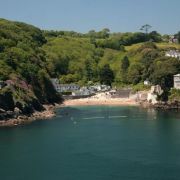 In fact the coast here is sometimes referred to as the Cornish Riviera. If you are looking for a busy resort, try Carlyon Bay, although this is somewhat of a construction site at the time of writing due to 'The Beach' appartment development. 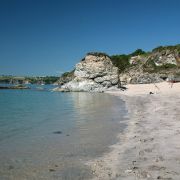 Other popular nearby beaches include Duporth and Porthpean. 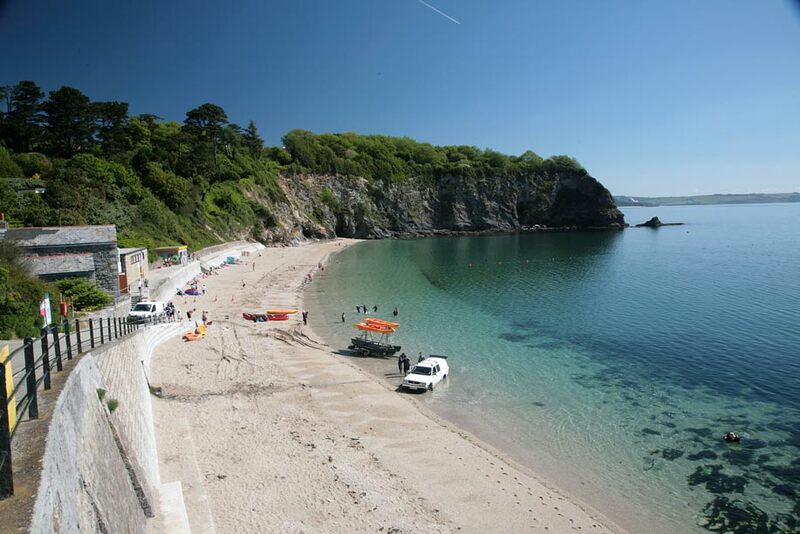 If you prefer somewhere quieter and smaller, Polkerris is ideal for swimming. 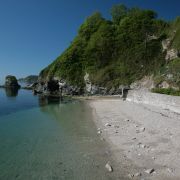 Not far from this delightful cove are the two former homes of local author Daphne du Maurier. 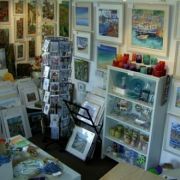 On Gribbin Head stands Menabilly, the Manderly of Rebecca, whilst closer to the Par-Fowey road is Kilmarth, the original House on the Strand. 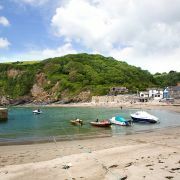 Neither of these properties is open to the public, although there are several coastal walks passing close by. 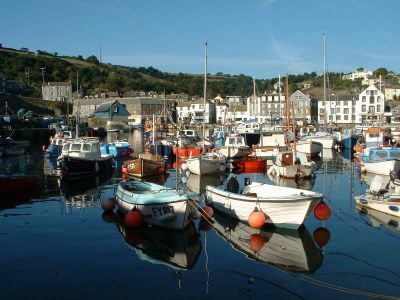 St Austell’s port is the lovely harbour of Charlestown, where you will frequently see old sailing ships. 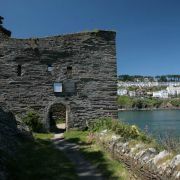 The port has been used as a film location for numerous films and television series, such as Poldark, and there is a small museum open during the season. 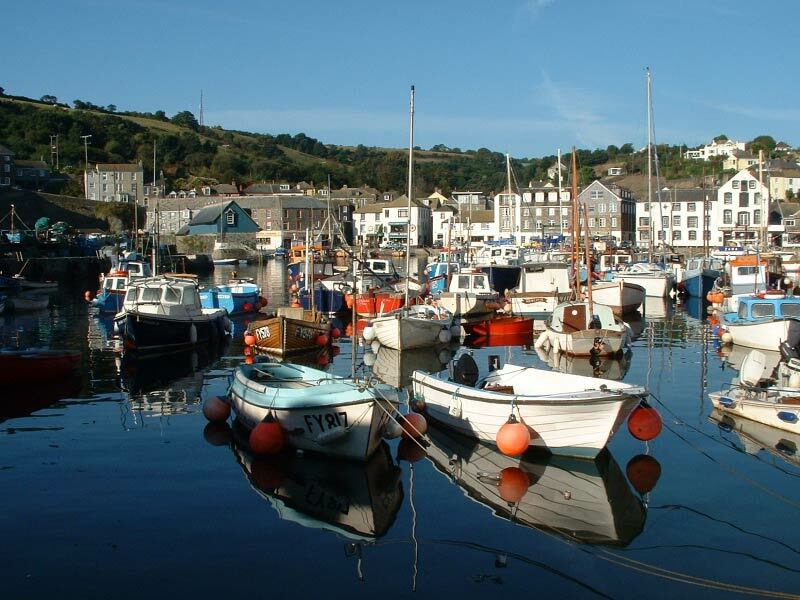 Within easy reach of St Austell are the old fishing ports of Fowey and Mevagissey. 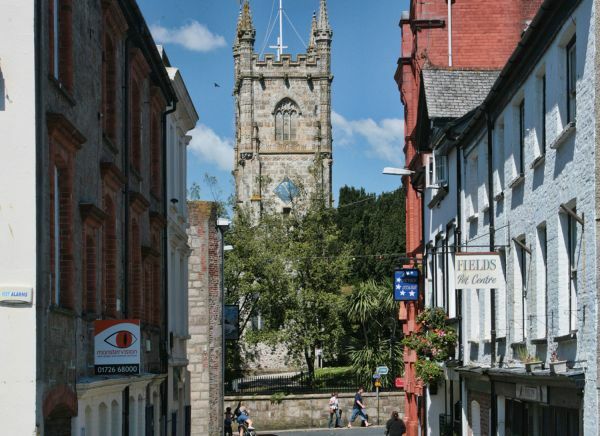 The town is on the main railway and bus routes from London.